Each week, On Drugs looks through the lenses of history, pop culture and personal experience to understand how drugs have shaped our world. Because even if it's just caffeine or ibuprofen, there's a good chance you're on drugs right now. Opioid drugs have claimed a shocking number of lives across North America in recent years, as people fall victim to overdose. While the intensity of crisis is new, our relationship with opiates — and opioids, as they're often referred to now — goes back millennia. This is an overdose crisis thousands of years in the making, and in this episode, Geoff Turner dives into that fascinating history to figure out how we got to this point. It's just one more week until the season two finale of On Drugs, but in the meantime, enjoy this favourite from last season. It's all about Miltown, a drug that is mostly forgotten today, but helped create modern psychopharmacology. We're proud to announce that this episode is nominated for Best Podcast at the 2018 Radio Television Digital News Association awards. This episode goes behind bars to learn how Canadian prisons form a nexus of drug crime, trade and addiction. We'll meet people in prison because of crimes committed in the throes of addiction and learn about how prisoners cope with addiction in custody. The Narcotic Farm in Lexington Kentucky played a major part in shaping the culture around mid-century heroin use in the United States, as well as our understanding of the science of addiction. This week, On Drugs digs into the history of this unique institution and what went on there. We're busy working on next week’s show, but I wanted to share another CBC Original Podcast I think you might like. It’s called Personal Best. I wouldn’t be doing it justice to call it a self improvement show, because it’s a lot more than that. In an episode called the Doppelganger, we meet Julia - she’s struggling to find a way to communicate her authentic self through texting and technology. It’s trippy and fun and it has all kinds of heart. Please give it a listen! Before pharmaceuticals find their way to your medicine chest, they are subjected to batteries of tests for safety and efficacy. Those tests begin with animals, but eventually scientists need to try out the drugs on people. In this episode, we explore the world of clinical drug trials, including host Geoff Turner's own experience as a human guinea pig. There’s an expectation that members of the Church of Latter Day Saints will live with chastity and modesty in order to secure a place in heaven. And yet, Utah, the heart of Mormonism, has one of the highest overdose rates in the U-S. In this episode of On Drugs, we hit the road to investigate why. People have been using caffeine in one form or another for thousands of years. And for more than a century, people have been fretting about what it does to our health and our moral condition. This episode dives into the history and significance of the most widely used psychoactive drug on earth. We launched season two of On Drugs with an episode about how people are using psychedelics in search of spiritual enlightenment. One of the people we met was Tanya Kammonen. Tanya and I spoke at length about her experience with psychedelics -- ayahuasca in particular -- and if you’ve listened to the episode already, you’ll have heard some of that conversation. But I thought you might be interested in hearing what didn’t make it to air. So here's a special extended version of my conversation with Tanya Kammonen. 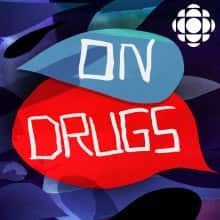 In this episode of On Drugs, we explore the connection between psychedelic drugs like LSD and psilocybin and the transcendent feelings and perceptions that users report. Ethnobotanist Wade Davis shares his insight into the seeming ubiquity of psychedelics in mystical experience in the Americas. Dr. Rick Strassman describes what happened when he went in search of the spirit molecule. And Tanya Kammonen explains how ayahuasca prepared her scientific mind for religious experience. Download Introducing: How Do You Sleep at Night? + Season 2 Coming Soon!